Minister Harin Fernando says with the May Day celebrations the United National Party will begin a new journey. Speaking during the UNP May Day celebrations at the Sugathadasa Indoor Stadium in Colombo Minister Fernando said the UNP is not a party based on a single person. 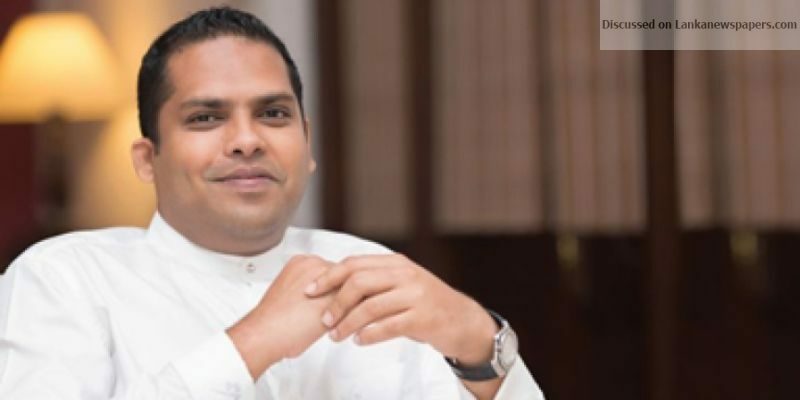 Minister Harin Fernando said the Sri Lanka Podujana Peramuna is based on former President Mahinda Rajapaksa while the Sri Lanka Freedom Party is based on President Maithripala Sirisena. He noted the Sri Lanka Podujana Peramuna and the SLFP will not exist without its leaders. Minister Fernando stressed the UNP will however continue regardless of Prime Minister Ranil Wickremesinghe being a part of it. The Minister said the UNP will work towards unifying the party. Minister Harin Fernando said when the party is strengthened and successful, a new leader will emerge as well.